Did you know that you can support Westminster Academy at no cost to you every time you shop? When you shop at smile.amazon.com, you’ll find the same low prices, selection, and convenient shopping experience as Amazon.com. However, you’ll receive an additional bonus—Amazon will donate 0.5% of the purchase price to WA. Click here to support WA while you shop on Amazon. 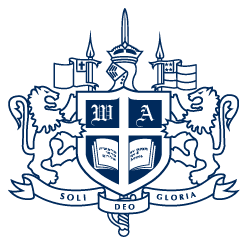 Be sure to type CRPC dba Westminster Academy to find our school. For more information about how you can support WA, please contact Sarah Hajduk, Director of Development, at hajduks@wa.edu or 954.771.4600, ext. 2504.